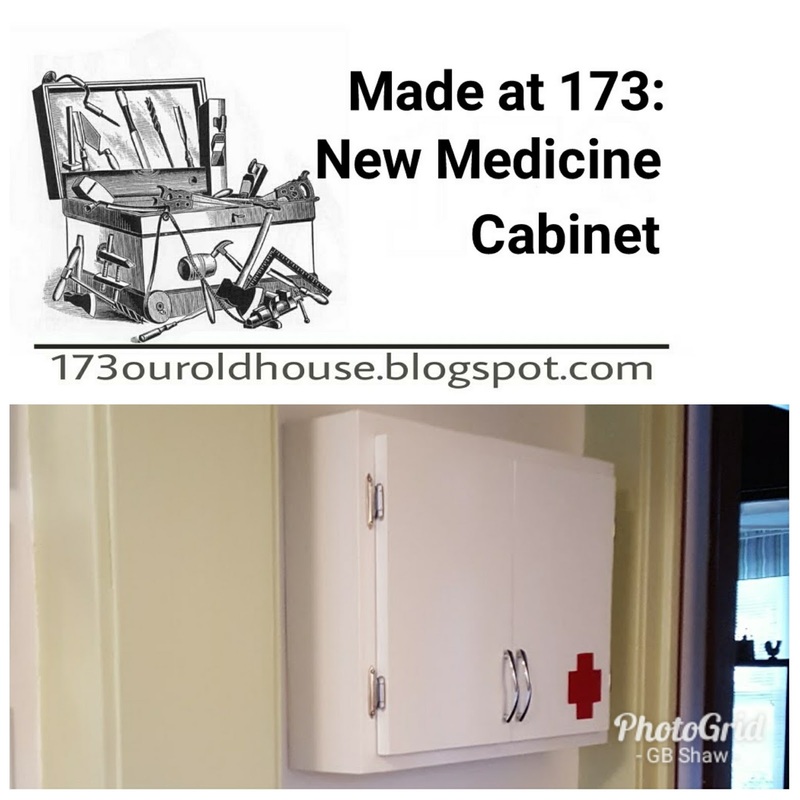 In our last post I talked about an old Made at 173 project - the old medicine cabinet. 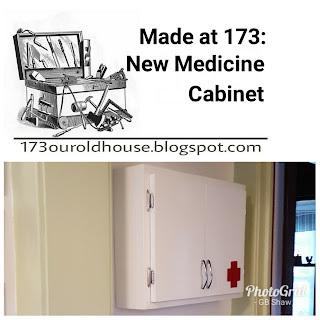 As you can see, the cabinet was overflowing with those remedies to ameliorate the pains and dyspeptic disorders of the aging denizens of 173, Clearly it was time for a larger cabinet, and what better time than after a relatively major project that left scraps lying about the ol' workshop. 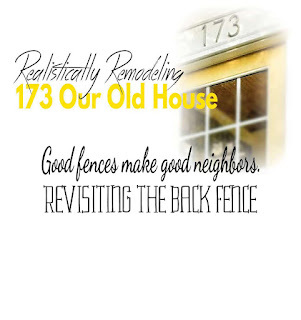 If you've read this blog for any amount of time, you know I like finding uses for project scraps, most of which can be seen on the Made at 173 page at the top of the blog. 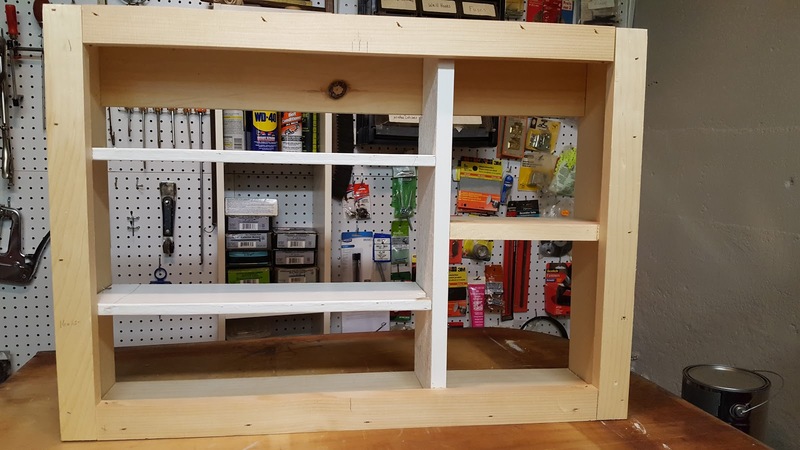 And so it began, The plan was simple - make a bigger medicine cabinet, and use only materials leftover from the kitchen project, or stuff on hand at 173. 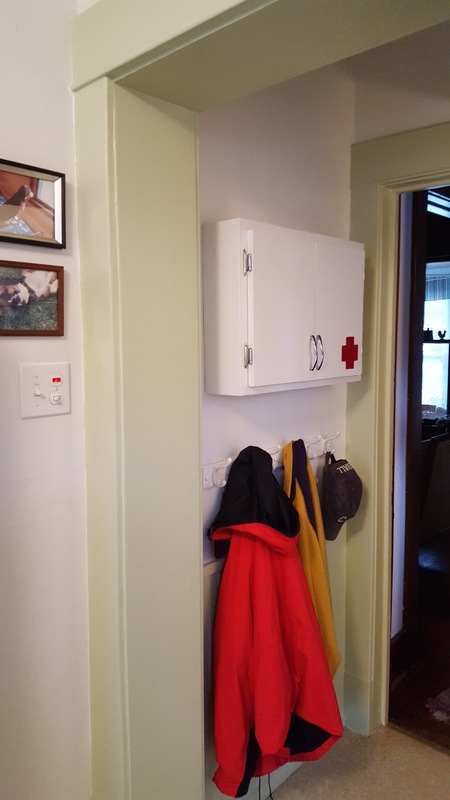 The hinges were leftover from the kitchen, but that isn't saying much. 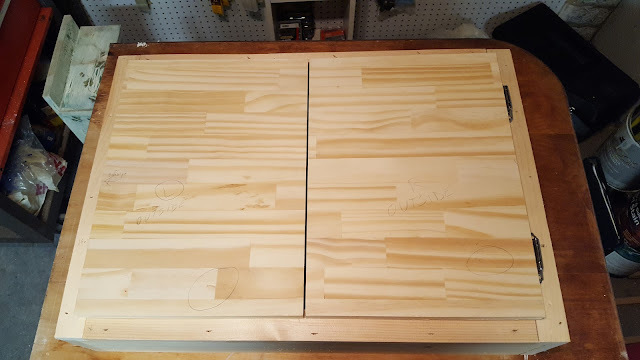 When I ordered hinges off Amazon, I didn't read carefully, and didn't know hinges came in pairs (doh!). 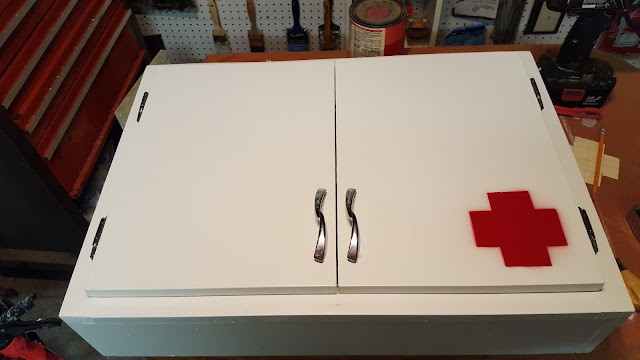 So I ended up with twice the number of hinges that were needed...know anyone that needs hinges? 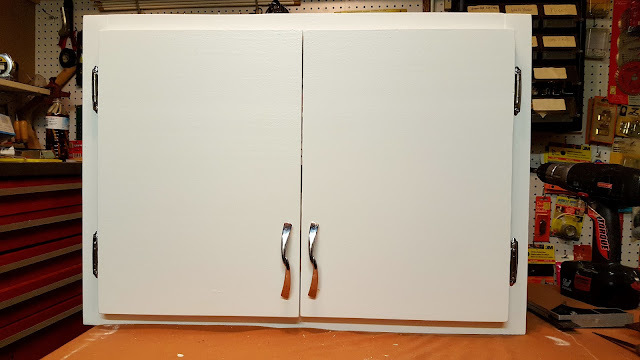 The handles (seen below) were the original cabinet handles, which is a nice way to integrate the original, which is something I always like to do if I can. I also went retro, old-school, old fashion (or whatever else you wanna call it) and painted the cabinet white (leftover paint from the kitchen). 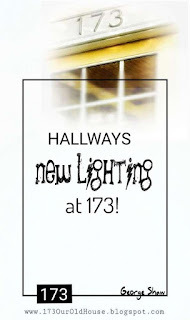 There you go, a fun and useful little project - Made at 173! 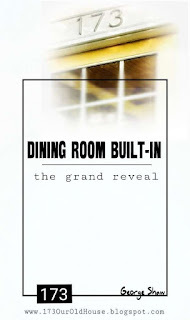 PS: That picture gives a hint at the kitchen reveal which is coming soon!